From 3pm on Friday 19th July to 9am on Monday 22nd July, 2013; DsTV will open up a selection of premium channels. For two full days, DStv will make a selection of channels from its incredible DStv Premium bouquet available to Access, Family and Compact subscribers everywhere. With the DStv Open Weekend, all active subscribers from DStv Compact Plus to Access get way more sport documentaries, music, news and lifestyle channels at no additional cost! 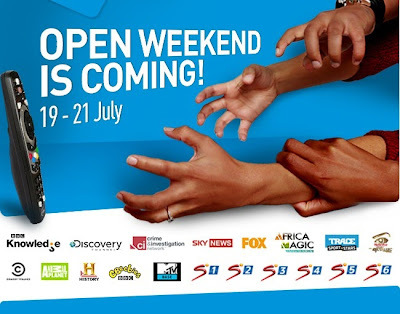 The open channels this weekend will include SuperSport 1, 2, 3N, 4, 5N and 6, Discovery channel, AfricaMagic Entertainment, BBC Knowledge, Comedy Central, Crime and Investigation, Trace Sports Stars, Animal Planet, History Channel, CBeebies, Sky News, Big Brother Channel 197 & 198, FOX, MTV Base, MTV, Travel Channel and BBC Lifestyle. 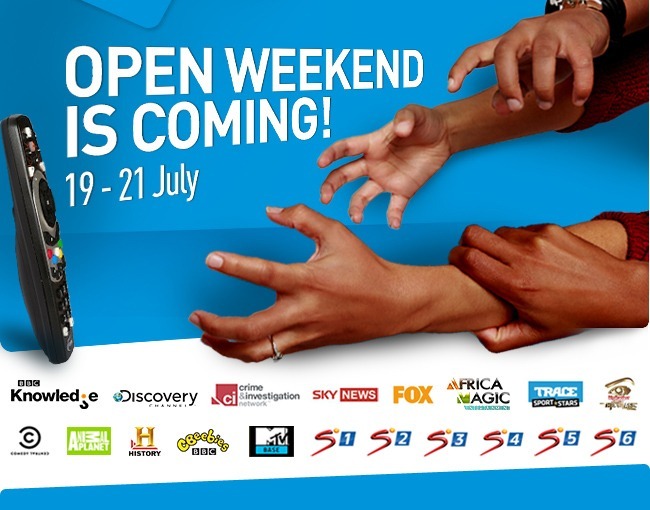 From SuperSport, Discovery, MTV, BBC and Comedy Central to AfricaMagic, Fox, Big Brother and more, tune in to more great entertainment from some of the world's biggest TV brands this weekend. For more information about this and other DsTv promos, follow @DStvNg on Twitter. You must activate BBA channels 198 on your DsTV decoder if you want to view the BBA The Chase during this Open Weekend.